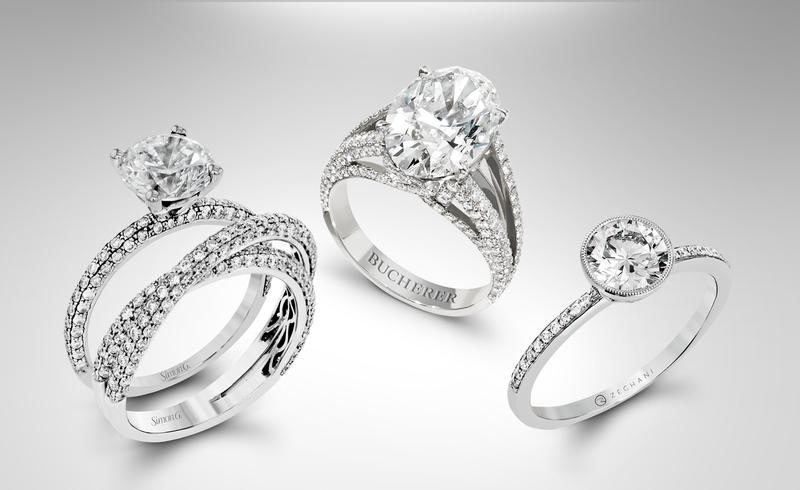 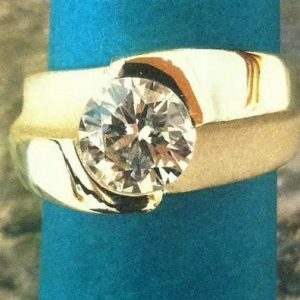 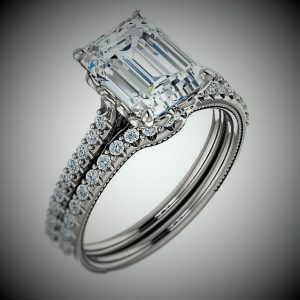 Designer engagement rings that softly embrace a large diamond are rare and hard to find. 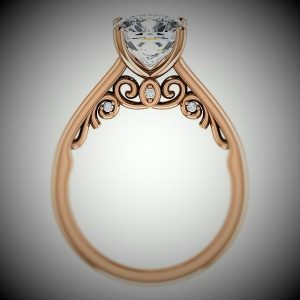 Rings Unique prefers a balanced design where the style and look is balanced and luscious, a statement indeed. 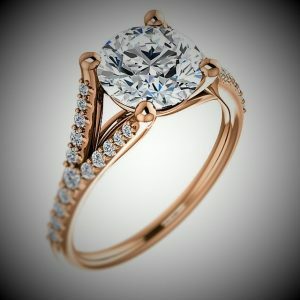 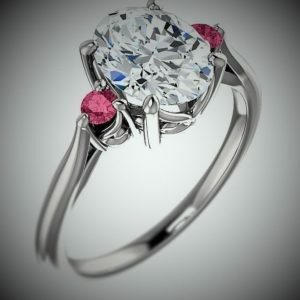 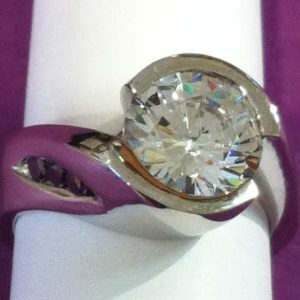 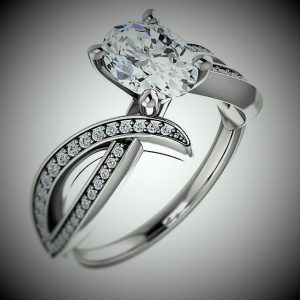 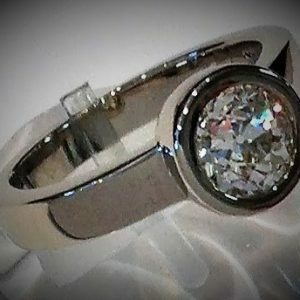 Not only is the diamond a stunner but the ring is custom made to hold a perfect stone in an exquisite setting. 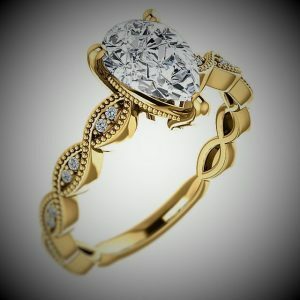 If wind or water could sculpt a gold or platinum ring, this would be the result. 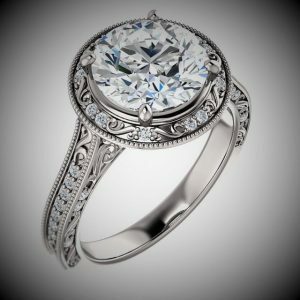 Each ring design with a large diamond is a beautiful marriage of the unity between what is natural and what can be created in the hands of a superior craftsman.